Investing.com – The yen eased on Tuesday in Asia as positive trending data in household spending, jobs and retail sales data failed to stem dollar gains. USD/JPY changed hands at 101.86, up 0.06%, while AUD/USD traded at 0.7578, up 0.13%. In Japan, household spending fell 0.05% in July year-on-year, less than the 0.9% decline expected, and gained 2.5% month-on-month, beating the 1.1% increase seen. Theunemployment rate fell to 3.0%, below the expected 3.1% level seen. Also in Japan, retail sales dipped 0.2% in July month-on-month, compared with a 0.9% drop expected. Ahead, Australia reports building approvals for July with a 0.5% decline expected month-on-month. The U.S. dollar index, which measures the greenback’s strength against a trade-weighted basket of six major currencies, was last quoted at 95.53. 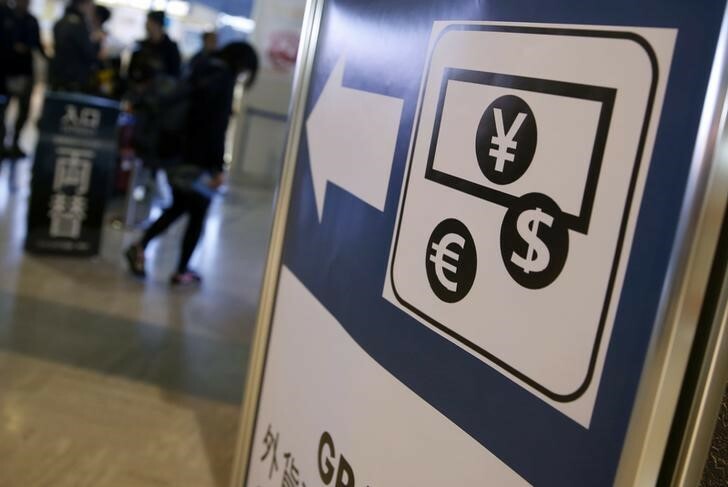 Overnight, the dollar rose to fresh two-week highs against the other major currencies on Monday, helped by the release of upbeat U.S. data and as fresh hopes for an upcoming rate hike by the Federal Reserve continued to support the greenback. The U.S. Commerce Department reported earlier Monday that personal spending increased 0.3% last month, in line with expectations. At the Jackson Hole symposium on Friday, Fed Chair Janet Yellen said the case for U.S. interest rate hikes has “strengthened” in recent months due to improvements in the labor market and to expectations for solid economic growth. Speaking shortly afterwards, Fed Vice Chair Stanley Fischer said Yellen’s speech was “consistent” with expectations for possibly two more rate hikes this year, opening the door to a September hike. According to Investing.com’s Fed Rate Monitor Tool, investors are currently pricing in a 24% chance of a rate hike by September, up from 21% before Yellen and Fischer spoke.